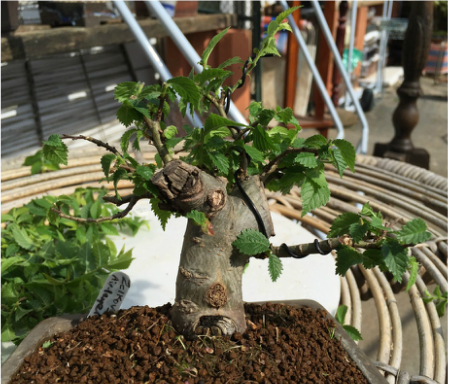 Formerly known as; Ulmus x elegantissiam "Jacqueline Hillier', It is a cross of U. glabra with either U. minor or U. plotti, and is a fantastic cultivar for bonsai as it has tiny leaves, is a vigorous grower, and is hardy in the Southern English climate. Summer '16. Post prune. This was separated as an air-layer this spring and grew extremely vigorously.